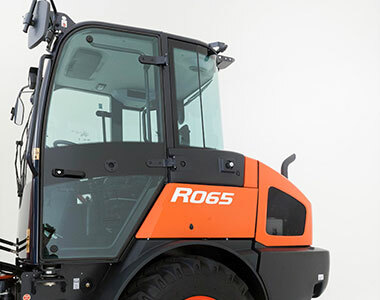 The all new R065 is designed to handle the most challeging jobs with a tough and reliable Kubota engine, excellent breakout force and superior maneuverability. 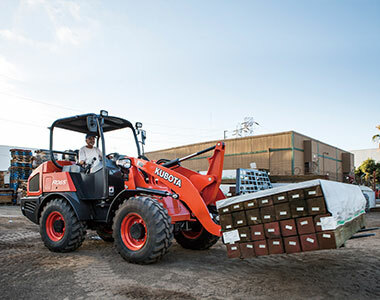 The newly designed cab will keep you working efficiently from start to finish with operator comfort all year round. Long dumping reach and high ground clearance makes all type of dumping jobs easy and makes pallet fork operations faster and more efficient. 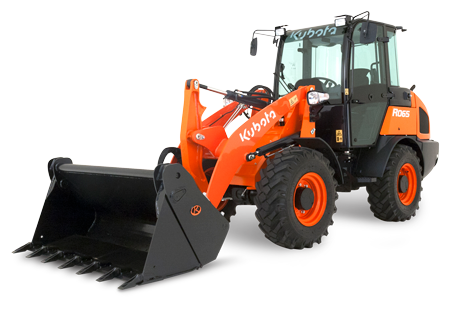 Powered by a Kubota 48.9HP engine for reliability and features low noise, low vibration and low fuel consumption. Strong bucket force when excavating and grading with a vertical lift path for superior reach and lifting. 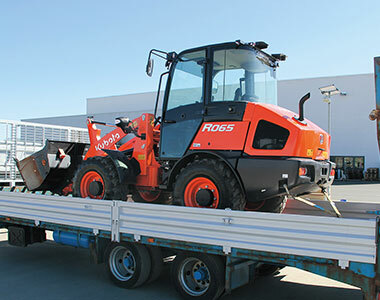 Multi Function operating lever for easy acces to all major loader functions. Articulation and frame oscillation for greater stability and comfort when operating in rough terrain. 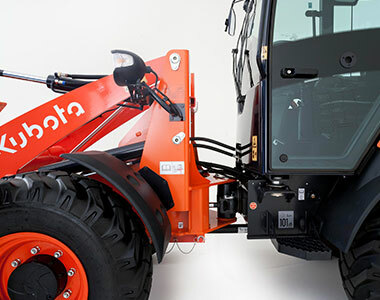 Kubota Hybrid link design with a well balanced cylinder position for steady transport with pallet fully loaded, even while raising or lowering the lift arms. The engine bonnet opens wide at the rear for easy accessibility to components that require servicing. Low clearnace of 2480mm allows you to work under low-hanging eaves and hard to get to areas also with easy travel under low bridges. Easy to read digital diagnostic indicator to keep you fully informed of loader and engine conditions. Newly designed cab for operator comfort featuring fully enclosed glass to improve visibility of conditions outside. Standard air conditioning for cab models. Fully adjustable suspension seat to enhance operator comfort.